Take your largest baking sheet, line it with baking paper and place the unrolled pastry on top. In a large bowl, toss the apples in the lemon juice before adding over the icing sugar and cinnamon (I use a little sieve for this). 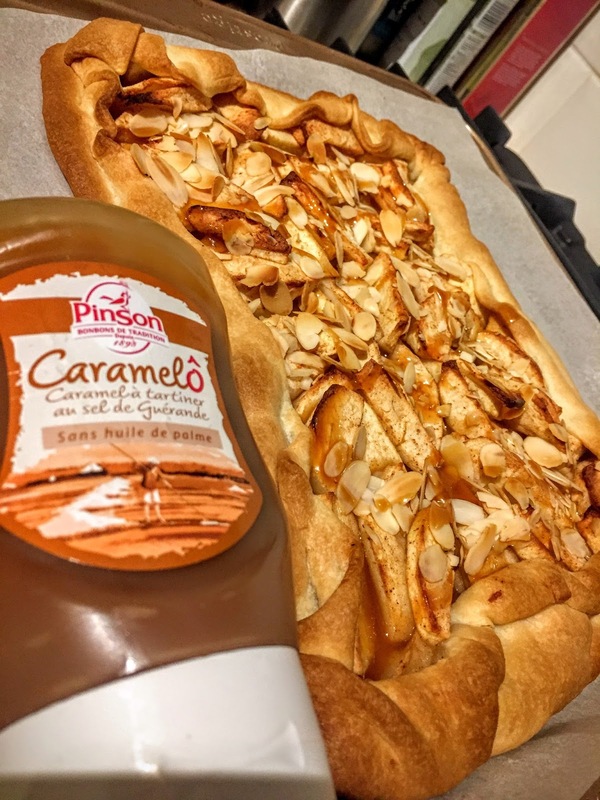 Tumble the sugar spiced coated apples onto the pastry sheet, keeping them about 2cm /1 inch from the edge. Fold the edges of the pastry into the apples and sprinkle with the flaked almonds. 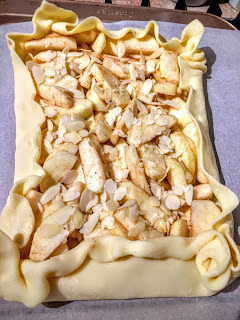 Bake for 45-50 minutes until the pastry & the almonds are golden and the apples are tender.